Plastic grocery bags are so money, and you don't even know it. Not that I agree with non-biodegradable bags being produced in the first place and collecting in landfills and into that huge garbage island in the Pacific, and yada yada yada. But, being that the world is a flawed place, and plastic bags do exist (and seem to spawn in my pantry during the night), the least we can do is use them, preferably more than once, to the full extent of their capabilities. 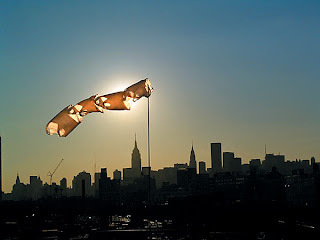 No, I'm not going to suggest that you tie a bunch of them together to make a wind sock, nor film one floating in the wind while expounding on the beauty of the universe (wow- two nineties movie references in one post- I am on fire, today). Here are just some of the ways you can use your plastic grocery bags (other than carrying groceries- that one seemed kind of obvious)- they'll save you money, and make you feel a little better about your carbon footprint and whatnot. Show me the money. Plastic bags can be your best friend on a trip. Just throw a bunch in your suitcase and watch all the ways you'll end up using them. Best of all, they are super-lightweight, and take up hardly any space in your bag. And did I mention they're free? 1. Undies: The grossest thing about living out of a suitcase is when your clean unmentionables get mixed up with your dirty ones, and you aren't sure what's what. The solution to this vexing problem is to bring along some (lightweight, take-up-no-space) plastic bags. 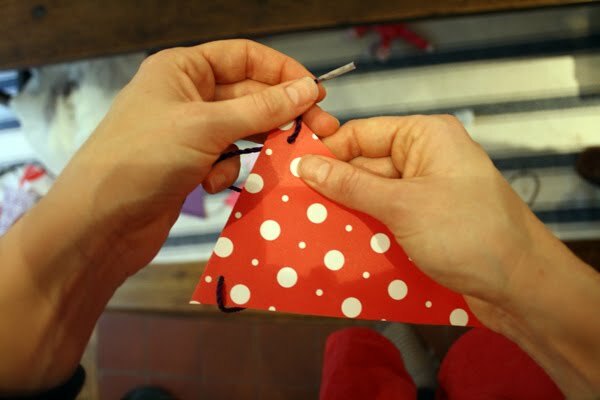 Once you wear a pair of socks or undies, throw them in the bag, and you'll never have to do the sniff test again. 2. Wet Bathing Suits: This one's obvious- double-bag your wet bathing suits and beach clothes to keep the rest of your stuff from getting mildewy or sandy (especially if you took your vacation on the Trash Island). 3. Shoes: My husband wraps each of his shoes in a plastic bag before he puts it in his suitcase. It keeps them from getting scuffed by zippers, etc, and keeps the rest of his stuff from getting dirty. 4. Toiletries: Even if you use my fancy "vacuum" trick, liquids sometimes have an uncontrollable urge to leak all over your suitcase. Rein them in with double plastic bags. I don't even have a car, and I can still imagine all the wonderful ways plastic bags can help you on the road. 5. The Glovebox: Keep all your important car documents, maps, and other papers together and dry by tying them up in a grocery bag. 6. In The Trunk: Keep your emergency kit safe, clean and and together in a bag. Also, any greasy or wet car products (is it obvious I don't have a car?) like oil or wiper fluid can be wrapped up to prevent leaking. 7. Trash: When you finish that breakfast burrito on the road, wouldn't it be nice to have somewhere to put the wrapper without getting refried beans all over your upholstery? Voila- a grocery bag. 8. Car-sickness: It's always a good idea to have a disposable receptacle available should someone start turning green in the backseat. I'd double-bag. Your dog doesn't care about status symbols. You could wrap your dog in plastic bags instead of that fancy raincoat, and she wouldn't care (I'm not counting that as an idea, but it's not a bad one). That's the best thing about dogs. 9. Walks: If you live in a city, where you are required by law to, ahem, pick up after your pet, then you should have no problem using up those grocery bags. Just put it over your hand like a glove, hold your breath, and go for it. 10. Toys: Within a few minutes of entering our house, new dog toys are covered in slobber, caked in dog hair and filthy/gross/disgusting. When our dog is not playing with them, I wrap the toys in plastic grocery bags and stow them out of sight and mind. 11. Garbage Liners: I use old grocery bags to line to small garbage cans under the sinks in our bathrooms. No one sees them anyway, unless they are throwing something away, and that way I don't have to see their garbage up close when I empty it. So everyone wins. 12. Packing Material: I wrap delicate Christmas ornaments and other tchotchkes in plastic bags before storing them, and stuff extra bags in between. Much cheaper than bubble-wrap (although admittedly less fun). 13. Garbage Bowl: When I am doing something gross, like removing the narsty bits from inside a whole chicken, or trimming fat off a steak, and line my garbage bowl with a plastic bag. That way I don't have to touch the nastiness twice (when cleaning out the bowl), and it keeps the bowl from getting too much bacteria on it. 14. Fridge Clean-Out: When I steel up my courage and clean out the random leftovers and tupperwares in my fridge, I always dump the smelly, rotting food into a plastic grocery bag first, and then the garbage. 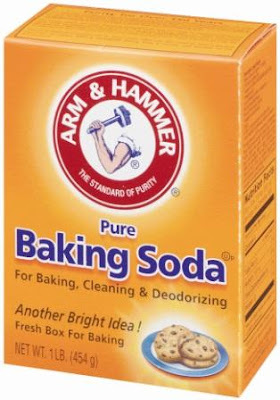 It helps prevent your kitchen from smelling like someone died there, until you take the trash out. 15: Recycle: At the very least, if you aren't reusing your grocery bags, you should recycle them. Most major grocery and drug stores have receptacles to collect them. If your store doesn't have one- ask a manager to get one. That way, your grocery bags really can spawn more grocery bags for me to use. When I was in high school, and friend of mine blew a tire down the street from my house. She called AAA on her car phone, but they were backed up and said they couldn't get there for an hour. So she called me and said, "Of all of my friends, you are the one I would expect to know how to change a tire". It was one of the nicest compliments anyone could have given me, and I was so flattered I said I'd be right there. I didn't have the heart to tell her that I really had no idea how to change a tire. My dad wasn't home, and this was in the days before you could find the answer to anything on helpful blogs on the internet (If you're doing mental math thinking, "Hmmm... car phone, no internet... the mid-90s?," stop it, please). So I went in blind, fooled around with the jack, got my favorite Express jeans and my hands all dirty, and managed to get half the lug nuts off before AAA arrived. On that day, I vowed that I wasn't just going to be the kind of person who people think can change a tire, but would become someone who actually could. And now I pass that can-do spirit on to you. Feel free to print this out and put it in your glove box. You'll be able to fix your tire and get back on the road in no time...flat. Step 1: Get to safety. Pull the car as far off the main part of the road as possible, without allowing any wheels to go onto soft dirt or sloped ground. Ideally you want all four tires to be on flat, solid ground, on a straight part of the road where approaching cars can see you from a distance. Turn on your emergency flasher lights, and get any passengers out of the car and safely away from the road. Secure the car from rolling- put on the emergency break, and, if you can find one, put a heavy rock or brick in front of the front tire (if you are fixing a rear tire) or the rear tire (if you are fixing a front tire). Step 2: Get your tools out of the trunk. You should find a spare tire, a lug wrench, and a jack (if it's after dark you may also need a flashlight). Place the jack under the frame of the car near the tire that you need to change. Make sure it is on the metal (NOT plastic) part of the frame. When in doubt, get low and take a peek under the car- on most cars there will be groove marks just behind the front wheel wells, and in front of the rear wheel wells which indicate where the jack should go. Once it is in place, raise the jack so that it is supporting, but not lifting the car. Step 3: Remove the hubcabs and use the lugwrench to loosen (but not remove) the lug nuts. (Remember: lefty loosey, righty tighty) The nuts might be on there real tight, so you might need to step on the wrench to get them loose. Step 4: Raise the jack until it lefts the tire about 6 inches off the ground. Don't stop just because the flat tire is off the ground- you will need more clearance to get the inflated tire on. As you lift, make sure the car is stable and not moving. Step 5: Fully remove the lug nuts (you can use the hubcap as a dish to hold them, just make sure you don't pull a Christmas Story and send them flying into the road). Pull the flat tire off- it's easiest if you put your hands on either side of the tire and pull it straight toward your chest. Step 6: Put the new tire on, aligning the tire bolts with the holes on the tire. Put on the lug nuts and tighten by hand. Use the lugwrench to tighten the bolts, but not all the way- tighten them a little at a time, going around in a "star" pattern, until they are equally tight. Step 7: Lower the car to the ground, and re-tighten the lug nuts. Remove the jack and replace the hubcap. Put all your tools back in the trunk, and remove any blocks from the tires. Step 8: Let your friends get back in the car, take off the emergency brake and get back on the road! Make sure to call me on the car phone and let me know you're okay. Most of the time, it's hard to remember what it was like before my niece Sofia was in our lives. But, in reality, it's only (already?) been a year. To celebrate this auspicious birthday last weekend, I insisted that my brother and sister-in-law let me help throw a party worthy of this funny, fully-articulated little character. 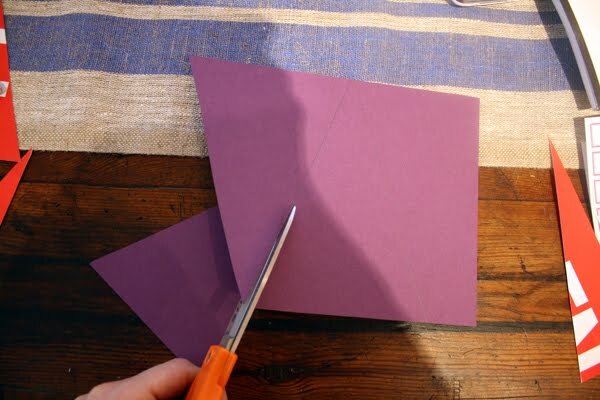 I chose a (kind of crazy) color palette of red, purple, and pink based on the Paperless Post invitation we chose, and made paper banner decorations to tie the whole thing together. This being my first toddler party, I was worried there wouldn't be enough toys and activities for the little guests, but, happily, it turns out balloons are endlessly entertaining to the under-two set. And for the grown-ups, we provided enough liquid refreshment to make things fun (including cans of "Sofia" champagne). In the end, the party was a huge success, and it was a day I am sure Sofia will never, ever, ever forget. 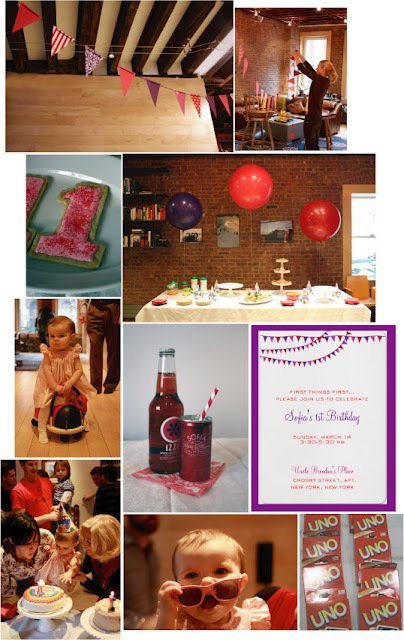 Clockwise from top left: I made paper banners using red, pink, and purple scrapbook papers (check in tomorrow for the step-by-step how-to); I had help hosting and setting up from Sofia's "uncles" (one by blood and the other by heart); the food table was decorated with 36" latex balloons from Balloon Ideas; the Paperless Post invitation that inspired the decor; We gave out decks of UNO cards as favors; The birthday girl stays cool in some pink shades; Blowing out the candle; Sofia rides on a cute (but scary) wooden ladybug toy; I baked #1 cookies using a cutter from Coppergifts.com; Refreshments included Izze sodas and Sofia sparkling wine. Not a moment too soon, spring has sprung and the dreary days of winter seem to be behind us (at least until next year). Somehow, it seems like those first rays of sunshine feel the warmest, the first ripe seasonal fruits taste the sweetest, and the bright blossoms that seem to be popping out on every tree are the prettiest. While it's fun to get outside during this time (I spent the whole weekend out defiantly revealing my blindingly-white legs in shorts), it's also nice to find ways to bring that spring cheeriness inside. And the best way to do that is to throw open all the windows and bring in a big blossoming arrangement of blooming branches. Budding branches are available all over at farmer's markets and flower stands (I got all of these forsythia branches for $5! ), or you can go out with your pruning sheers and lop some beauties off the bushes and trees in your backyard (attention city dwellers: do not try this in public parks- it's illegal). 1. Select your branches. Try to find full, straight branches of approxamately the same length, with lots of buds on them. Look for buds that haven't blossomed yet to get the most milage out of your branches. 2. When you get them home, use pruning or floral sheers to trim the bottom of the branches off. Because they came from a live tree or bush, sapped-over or dried-out stem needs to be trimmed in order for the branch to be able to drink water. 3. Fill a vessel with cool, clean water, and add 1 cap-full of pure bleach to the water (this will help keep the water fresh). Arrange the branches in the vase- don't worry if it turns out wonky or asymmetical- it's that kind of natural organicness that makes arrangements like this pretty. Don't crowd the branches too much- remember to leave room for the flowers to open. 4. That's it! Replace the water (and remember to add bleach) every few days, and your blooming branches should last for weeks- just as long as the ones still attached to the trees. It's certain to put a little spring in your step (and in your living room, too). I have long admired the charming and pretty pictures by watercolor artist Caitlin McGauley that appear in Daily Candy and Lonny Magazine, and I've always wanted to be able to paint like that. But I don't have such an inflated self image that I think I could just freehand it the way she does (okay, fine, I tried and I failed)- so I decided I would figure out a way to fake it. As long as I was already stealing her style, I figured I might as well cheat, too. Here's my tutorial on how to paint your own pretty little pictures. It's easy (you really don't need to be a good artist), addictively fun, and I think the personalized paintings make for super-cute gifts, cards, or décor (imagine a series of paintings of your favorite objects framed on a wall). And somehow, rendering even the most everyday things (like my husband reading the newspaper, or my silly dog) in watercolor just make them really cute. I mean, even cuter than they already are. Step 1: Take a digital picture of whatever you want a painting of, and open it on your computer. 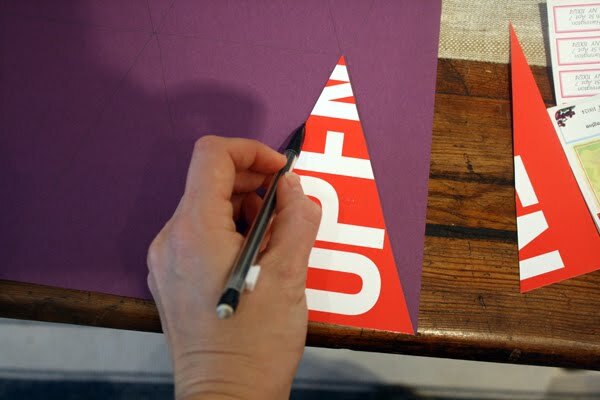 Or, as I did in this example, find one on the internet, and scale it to the size you want (if you are planning to scan your illustration, as I did with my banner, scale it bigger than you want to paint and shrink it on your computer after- you'll be able to get more detail). 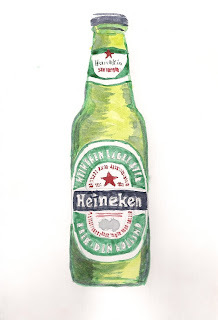 This time, I decided to paint a beer bottle, because I figured that if watercolor could make a beer bottle look cute, it would work for anything. And, also, I like beer. Step 2. Go into a dark room, and put a piece of paper over the image on your computer screen. I use white cardstock cards from Staples because that was what I had at hand in the dark room. I am sure higher-quality materials would make a difference, but I'm not going for perfection here. In fact, I sort of love the imperfections. Using a very sharp pencil, trace the image onto the paper. It should show through very clearly. The more detailed you are here, the less you have to improvise later. But try to keep a very light touch so the pencil doesn't show too much, and so you don't poke a hole in your computer screen. Step 3. Using a small brush, start painting. Again, no need for fancy paints- I just have a Crayola palette that I got at the drug store, and a few cheap brushes. I have no technique to share here - just play with the colors until you get one you like and paint it on there- like coloring, only watery-er. Also, put lighter colors down first, and darker ones on top. Also, if you are doing something detailed, let it dry completely before painting another color nearby- they will bleed into one another. That's pretty much all I've got. Just have fun! Step 4. Step back and admire your genius. And maybe have a beer. I've been contemplating writing this post for months, but keep managing to delay its publication. Why? Because I like writing about pretty, pleasant things, and this is decidedly not that. But, on further evaluation, I have decided that this is a skill that every self-reliant person must have in his or her arsenal. It's happened to almost everyone (and probably will again) - you are at a restaurant or a friend's house, you put a little too much of something down the toilet, and suddenly you are trapped in a small bathroom with a rapidly filling toilet and a party waiting for you outside the door. Handled incorrectly, this nastiness can result an extremely embarrassing and, ahem, crappy situation. But handled correctly, you'll be back at the cocktail party in no time, with no one the wiser. 1. Don't Panic. Stop jiggling the handle and trying to flush- you'll only cause more water to fill the bowl and potentially overflow it. Resist the urge to climb out the window and run home. If the water level is still rising, look on the wall behind the toilet for a knob and turn it all the way to the right. This will turn off the water flowing to the toilet. 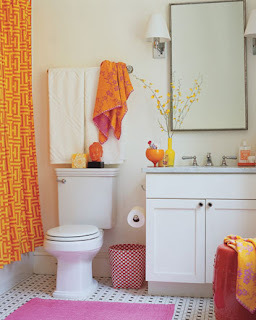 Lift any rugs, mats or linens off the bathroom floor and hang them over a rod or hook, just in case things get messy. 2. Start Bailing. If the water level is full to the top of the bowl, you will need to remove some of it. This is super gross, but find a cup, dish or bowl in the bathroom to use as a bailing tool, and remove enough water bring the water level down a few inches. 3. Plunge In. Grab a plunger. You will want to use the flange kind (as opposed to the cup kind, which is for sinks). If you are at someone else's house, pray that they are well-prepared and that your karma is in order, so that there is already a plunger in the bathroom. Otherwise, use your cell phone to call your husband or closest friend at the party, and have them discreetly ask the hosts for one (I am literally blushing as I type this, I feel so sorry for you, and it isn't even happening for real). Put the suction cup end into the toilet, covering the hole forming as good a seal as you can. Vigorously plunge the handle up and down several times, as hard as you can. Really put some muscle into it. (You may want to run water in the sink while you are doing this to mask the sound). Repeat until the water starts to drain from the toilet (Congrats- that means the clog has cleared). 4. Clean and Clear. Turn the water back on, and flush the toilet until the bowl is clean and cleared out. Use toilet paper to wipe up any spilled water (ugh), return the mats to the floor, and then thoroughly wash and scrub your hands and arms up to your elbows. Take a deep breath, reapply your lipstick, and then walk out of the bathroom like nothing happened. In case you are new here, Ask Me Anything is a feature on this site where I field reader questions to the best of my ability. The questioners get moderately useful information, and I get out of thinking up my own topic for one day, and get to act like a total know-it-all. So everybody wins. Email your own burning questions to lily@acharmedwife.com, or leave a comment on the site, and I will do my best to relieve the burning. Today's question comes from Chloe, who writes me on behalf of her engaged friend. I know what you're thinking- "Sure, Chloe. It's for your 'friend'" - But actually, Chloe is one of my lifelong besties, and she's already been married for years and has a baby, so unless she's leading some crazy double life, this one actually is for a friend. I hope her friend still likes her after she gets my advice. Chlo, I'm going to address this one directly to the bride, since I imagine you will probably just send her the link to this, anyway, right? Right. Great Expectations: I'm guessing the reason your future in-laws haven't ponied up to offer their cash and their services is because they don't really know what is expected of them. 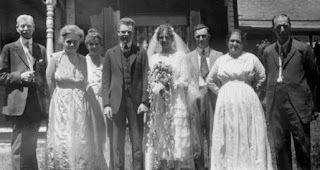 Times have changed since the era in which our parents got married. 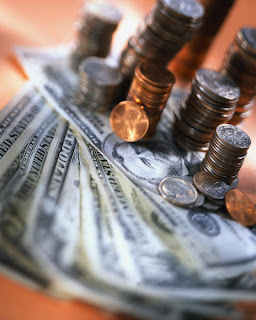 Couples frequently front the cash for their own nuptials, and a lot of tradition has been turned on it's head. My parents had what was, in their day, a pretty large and elaborate tented wedding. But they had little input in the planning, it took place in the afternoon, and was a cocktail party- they tied the knot, took off for their honeymoon, and the whole thing was over before dinner. No seating cards, no favors, no "geegaws," as my mom calls them. When I got engaged, my folks and my husband's were incredibly generous and accommodating of everything we wanted, but they were a little surprised by the elaborateness and level of detail that has become the norm in today's weddings. It's quite possible that your future in-laws would be happy to help, but just don't even know where to start. Conversely, it's possible that they have reservations about the marriage, or have been feeling left out of the planning process. This might be particularly true if you and your groom have not sought their input into matters of tradition and aesthetic. 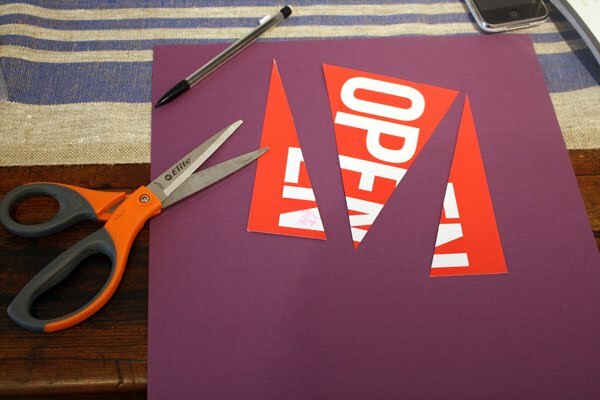 In any case, the solution to this is to be open-minded and open-hearted and to open the lines of communication between you, your fiancé and them. One place to start the conversation is to include them in the personal side of the wedding plans- I invited my mother-in-law to go dress shopping with my mom and me and asked her to show me family wedding photos. If their religious or cultural background is different from yours, take the opportunity to learn about their traditions. Who knows? You might end up wanting to include a flower she had in her bouquet into yours, his favorite reading into your ceremony, or use family photos as decor at your reception. The more connected and involved they feel in the wedding plans, the more likely they are to want to help. Money Matters: But, getting down to brass tacks, really, the responsibility of talking to the future in-laws about money should fall to your husband-to-be, not you. Assuming he has a decent relationship with them, he should just gently hint at the fact that the groom's family traditionally throws a rehearsal dinner, and that you guys would really love and appreciate their involvement in the wedding in general. If you would rather they contribute to the wedding costs, you can suggest that you and your groom throw a casual barbecue-style rehearsal dinner yourselves, and ask that they help host the wedding. An honest conversation about the pressure your mother is under financially should help motivate them. (Keep in mind that if they agree to co-host the wedding, you will need to include their names on the invitation, and incorporate their creative and traditional input into the event). Here's something important to remember- the amount of money or style of help they choose to give is entirely up to them. If you ask them to host the rehearsal dinner, then you must be prepared for them to do so how, where, and when they want. Ideally, they will seek your input, but don't expect to just be handed a credit card to throw the party you want for yourselves. And the same is true for the wedding- if you are getting married in a Wiccan ceremony and having a full bar (when they're Orthodox Jews who don't drink), it's not really fair or appropriate to ask them to split the check. The Bright Side, Again: As awkward and stressful as this may feel, think of it this way: It's great practice. You may not want to have to hash things out with your fiancé's folks, but these people are about to become your family. Forever (hopefully). Down the road, when it comes time ask them to stop giving your kids candy and violent toys, or when you have to tell your elderly father-in-law that he can't drive himself anymore, you will be grateful that you built a foundation of open communication in the beginning. Good luck, and here's wishing you a lifetime of marital (and familial) bliss. I love a good kitchen gadget- give me an apple peeler-corer, or an egg slicer or a whipped cream maker and I'll be entertained for hours. But the truth is that you don't ever really NEED any of those things, and you can get almost any cooking task accomplished, as long as you have a few solid and high-quality basics: a chef's knife, a paring knife, a serrated knife, and a good pair of kitchen shears. 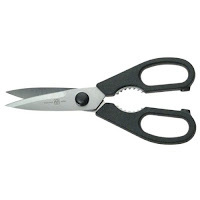 And (arguably) the greatest of these is shears. 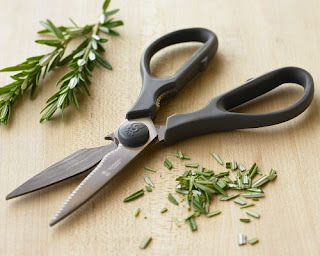 You can use a sharp pair of scissors to do almost everything in the kitchen- butcher a chicken, mince herbs, snip the ends off green beans, cut parchment paper or twine, open packages, or `even cut wire or trim flower stems in a pinch (just don't tell my mom I do that). The trick is to get a good-quality stainless steel pair that come apart, so you can throw them in the dishwasher after every use without fear of rust, and sharpen the blades just like knives when they get dull from cutting wire (even though your mom told you not to). I also like pairs with non-slip handles (for when your hands are covered in chicken goo) and built-in bottle openers, for enjoying a tall frosty one when you're done. Here are three worthy pairs. Owning any of them would be shear luck. Top left, Titanium kitchen shears, $13.50, from Williams-Sonoma; Right, Wusthof come-apart shears, $19.95 from Amazon.com; Bottom left, Shun Classic 'Taskmaster' shears, $39.95 from Sur La Table. There's a reason the expression "taken to the cleaners" means ripped off. And that reason is that dry cleaning, while a necessary part of life if you want to look presentable, can be insanely expensive. Sometimes I literally find myself thinking, I bought this sweater at H&M for $19. Am I really about to spend $10 to get it cleaned? Because I'm cheap like that. It's a fierce battle, but usually my cheapness trumps my laziness, and I end up washing the darn thing myself. 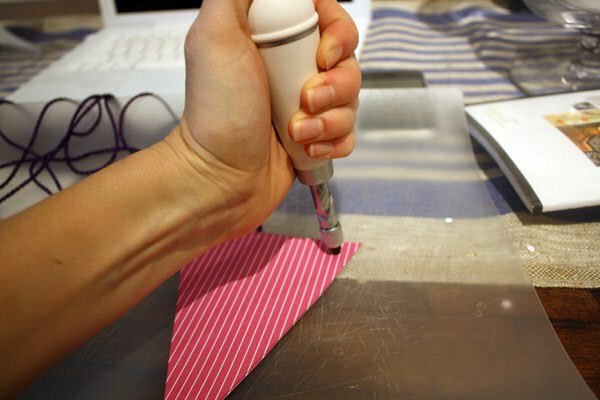 And while, for your sanity, certain garments are best left to the professionals (like suits, anything with heavy beading or embellishments or a ton of pleats) there are ways to limit the amount of dough you have to shell out, and take some shortcuts at home. * Plus, dry cleaning chemicals are toxic (do you really want them all over your clothes?) and harmful to the environment, so limiting your dry cleaning habit is good for your bank account, your health and the planet. Here are the techniques I employ at home to keep my wallet from getting cleaned out. 1. Read the Labels: If the label says "dry clean" that means you can definitely wash it at home. If it says "dry clean only" there's still a chance that you can clean it yourself. A general rule is that wool, acrylic, cashmere, cotton and polyester can be easily washed at home. Silk and rayon require a little more care, but can sometimes be hand-washed. 2. 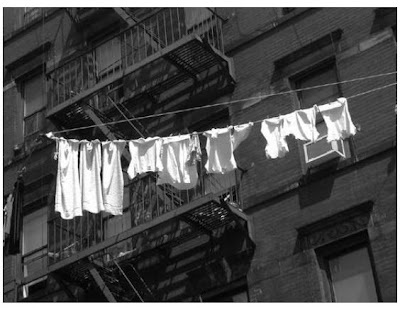 Use Your Dryer: If the clothes are unstained and just kind of maloderous (due to last night's trip to a cigar bar, or your sprint for the bus), you can use one of the at-home dry cleaning kits at work in your dryer: Dryel or FreshCare. Read the instructions, but they are generally safe with most fabrics, and will leave your clothes unwrinkled, and smelling fresher than if you spray them with Febreze. 3. Handwash Your Sweaters: Here's a secret- hand-washing actually will make your wool and cashmere sweaters softer. Just fill a deep sink or bathtub with room temperature water (not hot! ), and add your sweater to it. 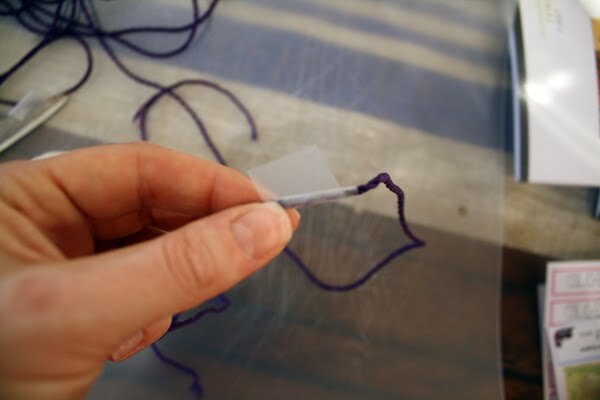 Put in a small amount of soap (Woolite is nice, but you can also use a gentle shampoo), and gently spot treat just using your hands and by rubbing the fabric against itself. After the sweater has soaked for a while and is clean, rinse them with cool water and lay them flat on a clean towel, then roll the towel to dry. Allow the sweater to lay flat until dry. To save time, do several sweaters at once. 4. Silky tops: Use the same method as with sweaters to wash your silk items, but after you rinse them, pat them dry with a towel and hang on a padded hanger to dry. *I also take personal umbrage that our dry cleaning establishment will wash and press my husband's shirts for $1.50 each, while my button-up collared shirts are categorized as "blouses" and cost $6. If I were less lazy, I would start a boycott based on the sexism inherent in that, but then I'd be stuck washing and pressing all JM's shirts myself. And they deliver for free, so I'll give them a pass. 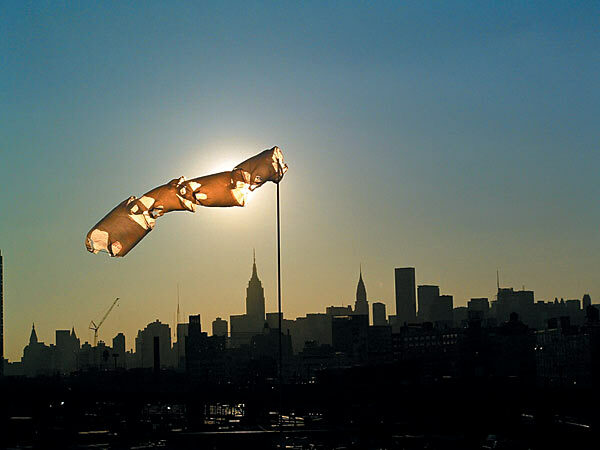 photo credit: Nanopedia.case.edu - a site dedicated to the idea of using nanotechnology to create self-cleaning fabrics. So hopefully this whole post will soon be moot.